The special moments in life that take your breath away are few and far between. 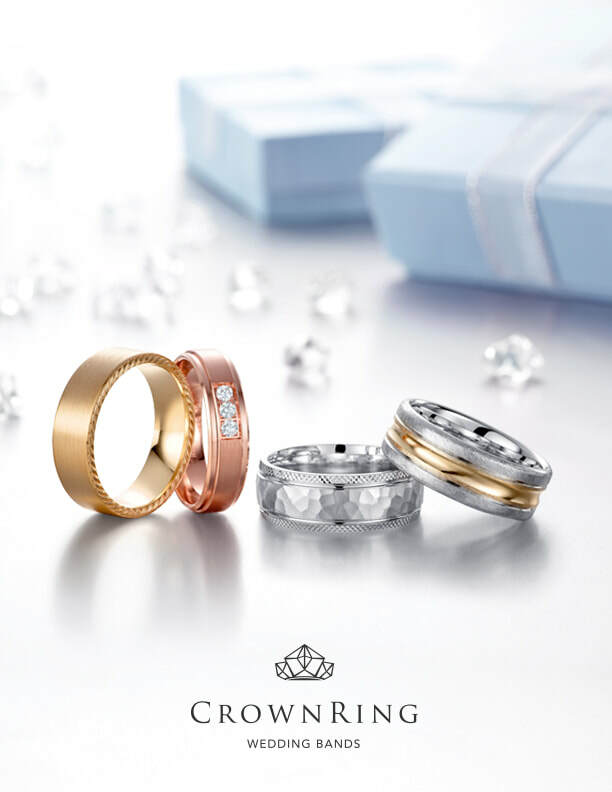 That's why longtime friends Thierry Bellisha and Haimy Mann set out to celebrate these milestones by founding CrownRing in 1999; a collection of spectacular bridal jewelry that brings happily ever after to life. CrownRing strives to create pieces that will last a lifetime. All styles are completely customizable. Click the image to see more. 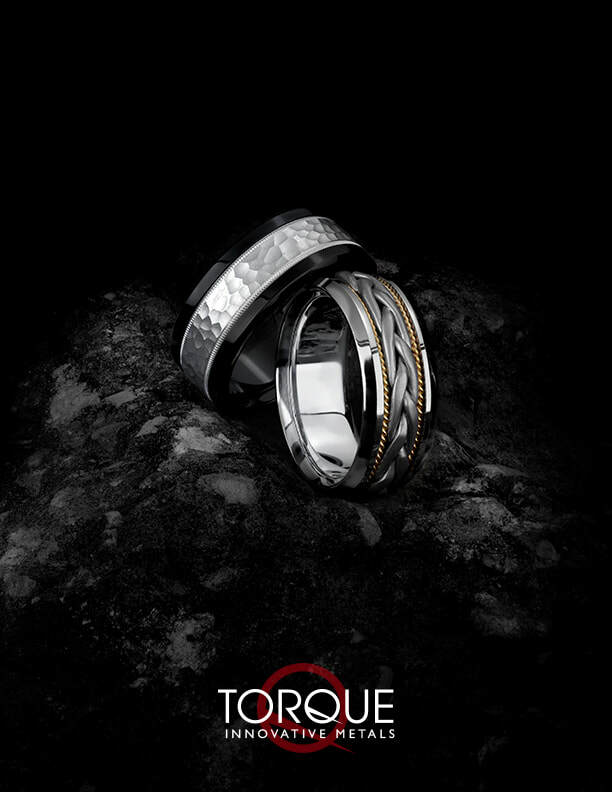 The word torque means force; this is the perfect descriptor for this bold and powerful alternative metal collection. Known for their unique designs in metals like titanium, cobalt, and tungsten, Torque wedding bands are for those who don't want to worry about a delicate accessory. An alternative metal band by Torque will keep up with you no matter what you do. Complimentary lifetime sizing. Click the image to see more. Looking for a classic gold or diamond wedding band? Stop in store to see traditional styles in platinum and any color or karat of gold. Traditional styles are also available with a variety of precious gemstones or diamonds. Click the image to see some examples.